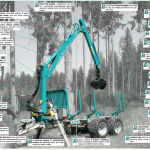 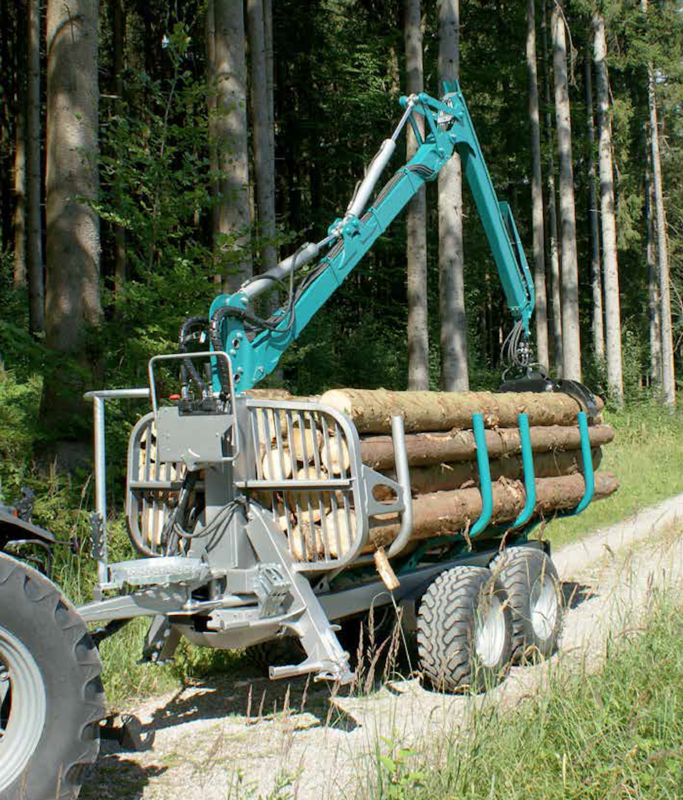 The Pfanzelt S-line forwarding trailer is especially designed for use by private forest owners. 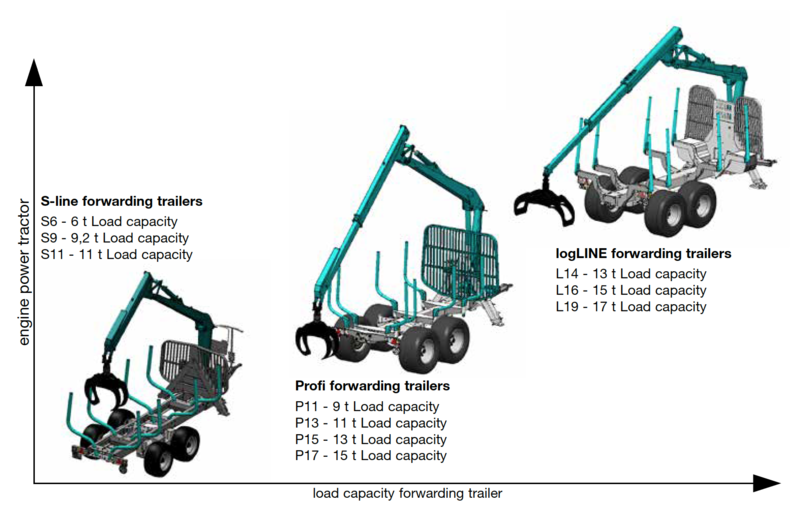 With its low profile design, hydraulic overrun brake and licensing for speeds up to 40 km/h on public roads, the S-line forwarding trailer is a universal machine with the same underlying engineering as the professional forwarding trailer. 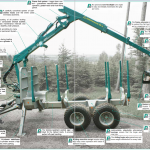 An important criterion when buying a forwarding trailer is the safety equipment. 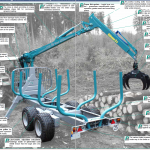 Pfanzelt forwarding trailers offer all safety features required by KWF, FPA and the BG. 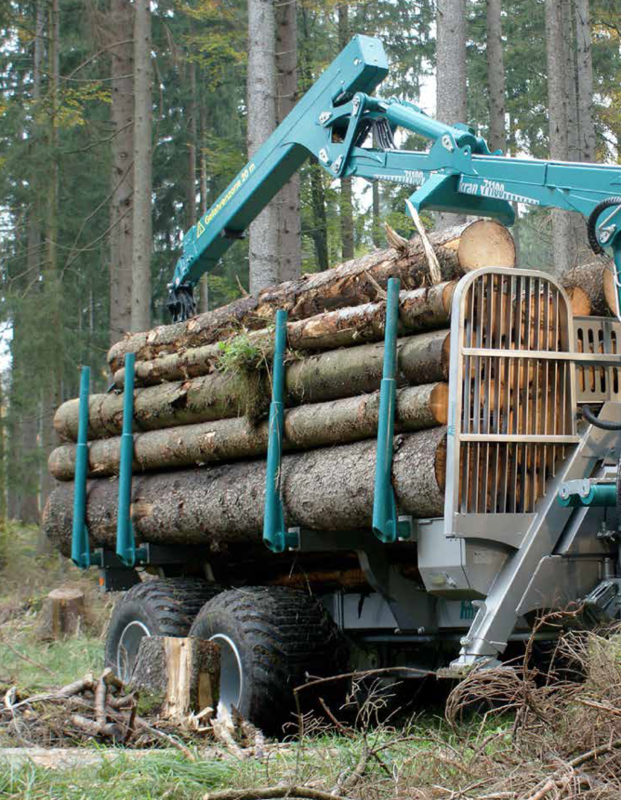 The hydraulic overrun brake enables loaded road travel at speeds up to 40 km/h. 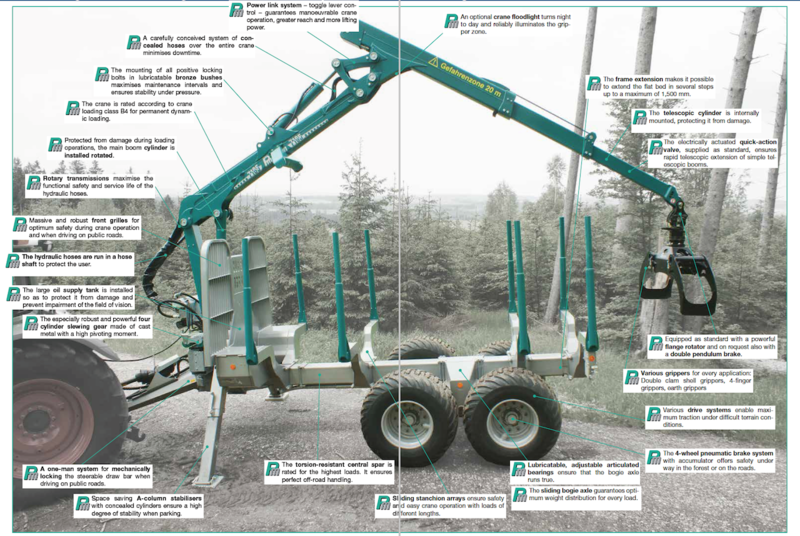 The operating console on the draw bar offers a well organised work station. 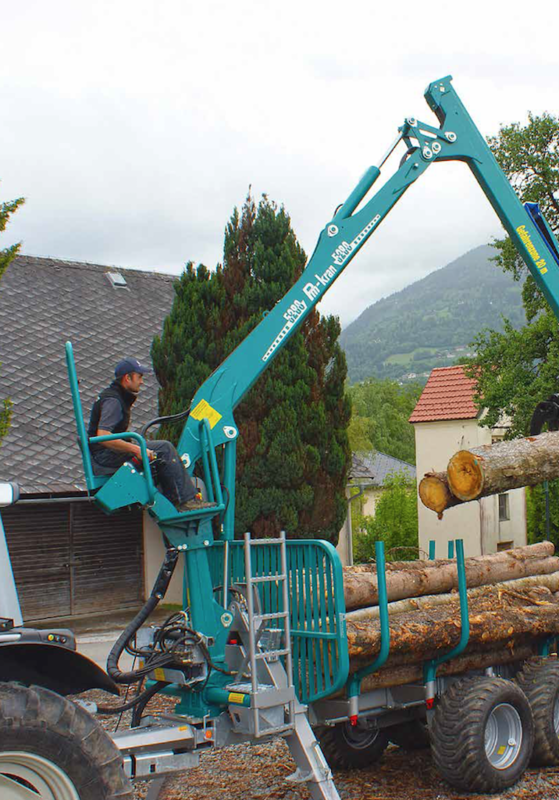 The joystick control provided as standard with its two electrical functions ensures that the operator can always operate the crane ergonomically. 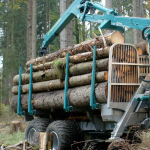 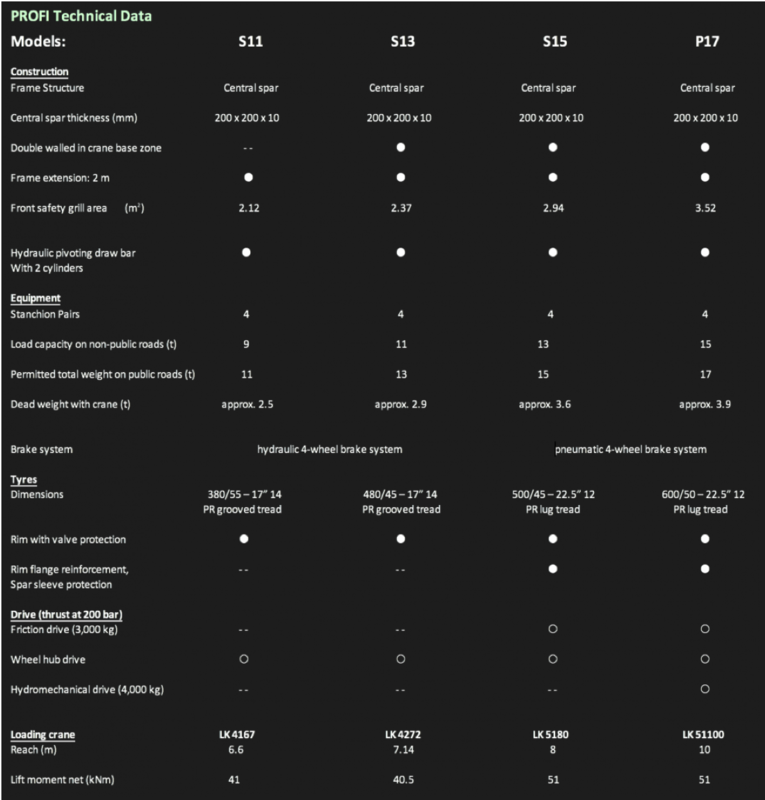 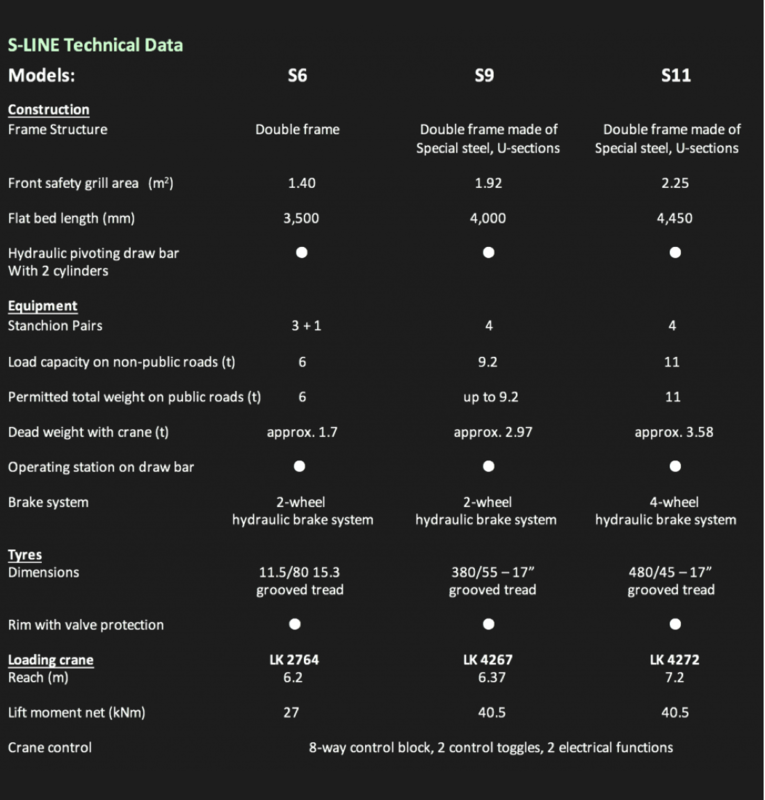 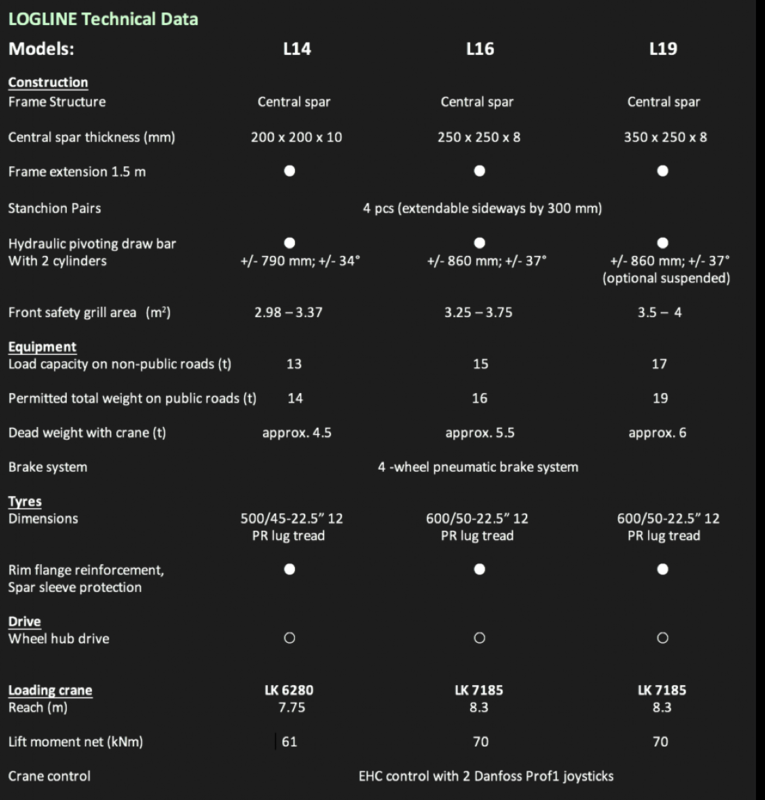 Requirements for modern logging trailers vary greatly depending on the respective area of application. 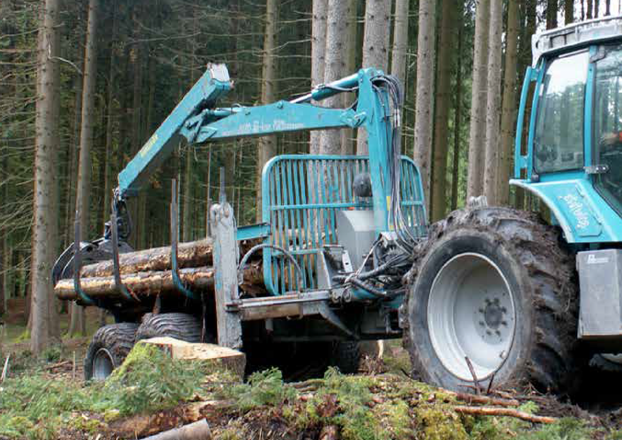 Pfanzelt offers the most extensive range of logging trailers on the market. 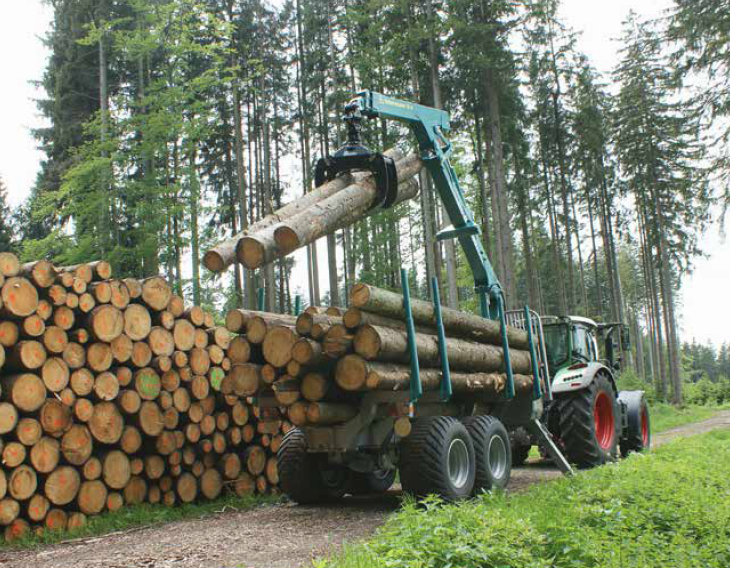 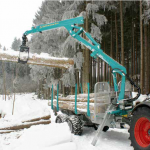 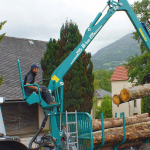 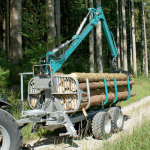 As a result, users have the opportunity to configure a professional Pfanzelt logging trailer to suit their individual needs. 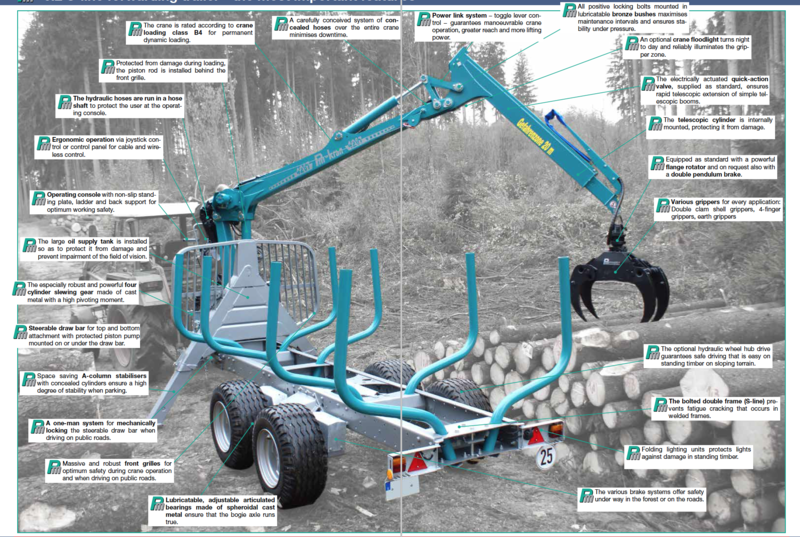 With the most extensive forwarding trailer range on the market, Pfanzelt offers every professional user the option to put together a customised forwarding trailer according to his own specific requirements. 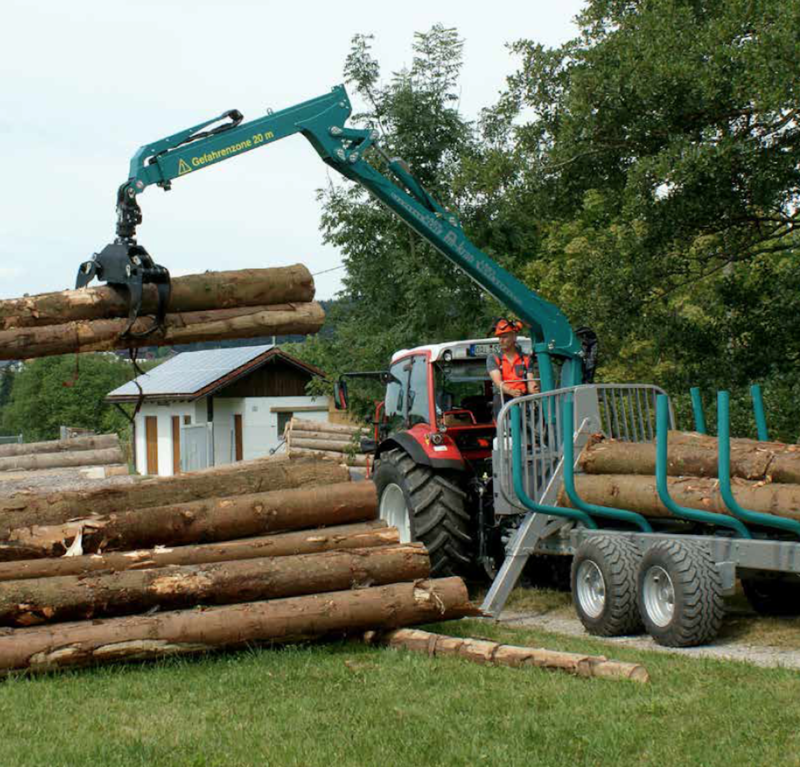 The forwarding trailers of the logLINE series with a permitted total weight of 14, 16 or 19 t offers powerful professional technology for forestry contractors. 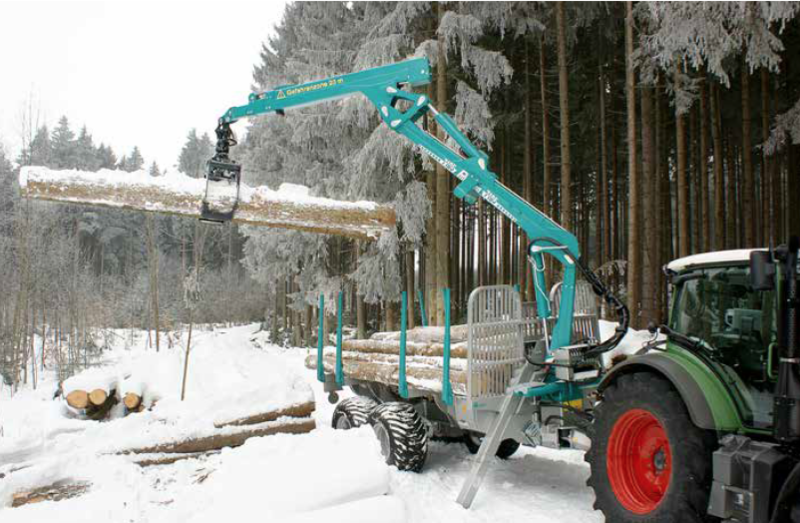 Equipped with a 7 m/t class forestry crane, the forwarding trailer is optimised for heavy duty logging. 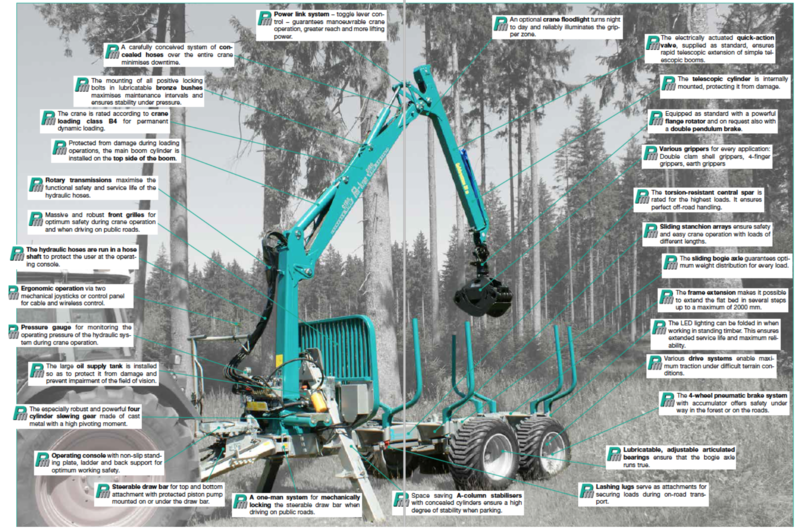 Accessories for flexible application: Wheel hub drive, crane cable winch etc.